UNITED STATES: Ørsted (formerly Dong Energy) and New England utility Eversource have signed a letter of intent with NEC Energy Solutions (NEC ES) to develop a storage component for the Bay State Wind project. Battery solutions provider NEC ES will work with the two developers on a 55MW/110MWh storage facility for the 800MW project destined to be installed off the south coast of Massachusetts, northeast US. Bay State Wind is a joint venture between Ørsted and Eversource. The project partners hope the storage solution will help overcome northeast US' "winter reliability challenges", the companies stated. They claimed a storage site would save approximately $158 million per year and "enhance grid stability by shifting energy delivery to meet demand profile", the companies added. NEC ES, part of Japanese conglomerate, the NEC Corporation, won a contract to supply its energy storage systems on a turnkey basis for projects on the east and west coasts of the US in 2016. It has also previously installed storage solutions at the 97.6MW Laurel Mountain wind farm in West Virginia and at the 21MW Auwahi project in Hawaii. Bay State Wind will be located between 24 and 40 kilometres off the coast of Massachusetts. 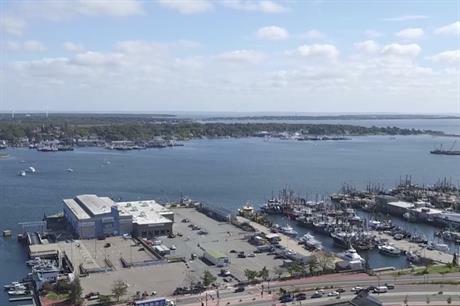 Ørsted and Eversource submitted proposals to include part of the project in Massachusetts’ 800MW request for proposals (RFP), which is due to have a final solicitation next year. Earlier in March, permitting for Bay State Wind was fast-tracked under Title 41 of the federal government’s Fixing America’s Surface Transportation Act (FAST-41).